Getting a facial, a massage, or participating in holistic medicine primarily seems to be a part of women’s health. But what about men? Wanting to refresh your mind, boost your spirit, and rejuvenate your body doesn’t have to be inclusive to women only. Men have stressful lives and busy careers, men work out and have to deal with aches and pains. Men also have to deal with illnesses and psychological problems. An acupuncture session is a great way to relieve stress, bring balance back to your body and will help restore your health. So, calling all men! If you want a break from the daily grind and relieve some stress in your life, reduce headaches, or minimize pain from sports injuries, contact Bliss Wellness Center for an acupuncture session today. Men are simple creatures, right? If you’re feeling pain, a simple pain reliever will do the trick, but what happens when the headaches are recurring and you want real relief? Tension headaches are the most common type of headache and occur when there is an imbalance of chemicals in your body, including nitric oxide. Acupuncture aids in balancing out these chemicals. Are you struggling with digestive issues and cramping? Give acupuncture a shot..or a poke. Not only are needles placed in the torso and back, but legs and arms as well. These areas of the body have a larger number of nerve ending, which tell the brain to reduce production of stomach acid and helps promote a healthy digestion. Men may appreciate this the most: relief from sports injuries. If you have twisted your ankle, worked out your legs a little harder, or have a crick in your neck, a visit to the doctor can be helpful to make sure nothing is broken or there is a more serious issue. But a trip to Bliss Wellness Center can also help with your pain. 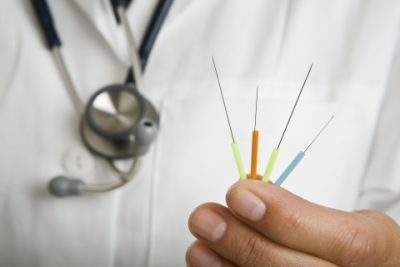 The needles used in acupuncture help to improve the oxygen flowing through your body which helps the healing process. If you are struggling with anxiety or depression, it can often be internalized and difficult to handle and to find a solution that will treat the problem. A common method of treating anxiety and depression is with medication, but these can have side effects that are harder to deal with than the disease. With acupuncture, your brain releases neurotransmitters and chemicals aiding in relieving stress and improve mood. At Bliss Wellness Center, we want both men and women to feel comfortable with our holistic medicine approach. Using acupuncture treatments and other methods of integrative medicine including Chinese traditional medicine and functional medicine, you can finally experience real relief from many ailments that you may be suffering from. If you have tried traditional medicine and it hasn’t given you a real break from the pain, give your body a chance to heal naturally. The next time you want to just take an Advil to cover up the pain, consider a trip to Bliss Wellness Center to experience natural pain relief with an acupuncture session.